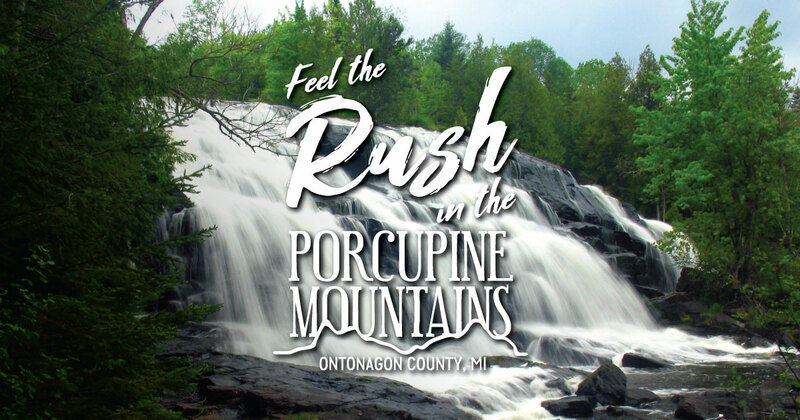 Sometimes when you stop to take a breath in the Porcupine Mountains, you’ll find a place that takes your breath away. The Summit Peak Observation Tower is the highest point in the Porcupine Mountains Wilderness State Park and offers all the spectacular views that title affords. At nearly 2,000 feet above sea level, visitors will find a beautiful panoramic view atop the 50-foot tower, which is easily reached after a short hike. On clear days, hikers can see the Apostle Islands to the northwest and Isle Royale—surrounded by the blue waters of Lake Superior—to the northeast. Visit in fall to take in a truly outstanding panorama of fall color.